Product prices and availability are accurate as of 2019-04-14 22:05:32 EDT and are subject to change. Any price and availability information displayed on http://www.amazon.com/ at the time of purchase will apply to the purchase of this product. 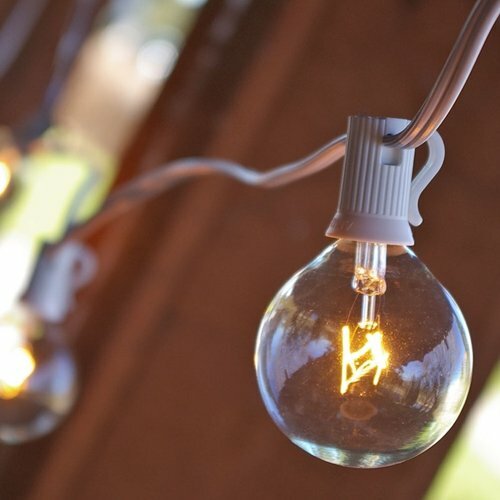 Globe string lights are a great way to decorate for holidays, weddings, parties and special events. This 11 foot long C7 white wire strand has 10 incandescent bulbs with E-12 sockets spaced 12" apart making it great for restaurants, bistros and general outdoor decor. Made with 18-gauge, SPT-1 wire. Safe for outdoor usage.